The former Three Dog Night star Chuck Negron will be performing live for one night only at the Welk Resort Theater in Branson on Friday, October 12, 2018 at 7:00 pm. As one of the most anticipated shows in Branson, the Chuck Negron Production Show is sure to put on a fantastic performance when he brings his favorite hits to the Ozarks. This talented artist is sure to inspire everyone in the audience once he starts belting songs such as “Never Been to Spain” and “Out in the Country”. The lead vocals of Chuck Negron that helped catapult Three Dog Night to early 70’s stardom, will be heard as he sings your favorite hits in this amazing show in Branson. He will be rendering incredible pop/rock songs that contributed to the success of Three Dog Night. The successful trio have accumulated 12 gold records and 21 consecutive hits on the Billboard Top 40 charts – seven of those singles went on to grab the Gold. Negron released a new album backed by the vocal talents of his two youngest daughters, Charlotte Rose and Annabelle Quinn, aptly named Negron Generations. 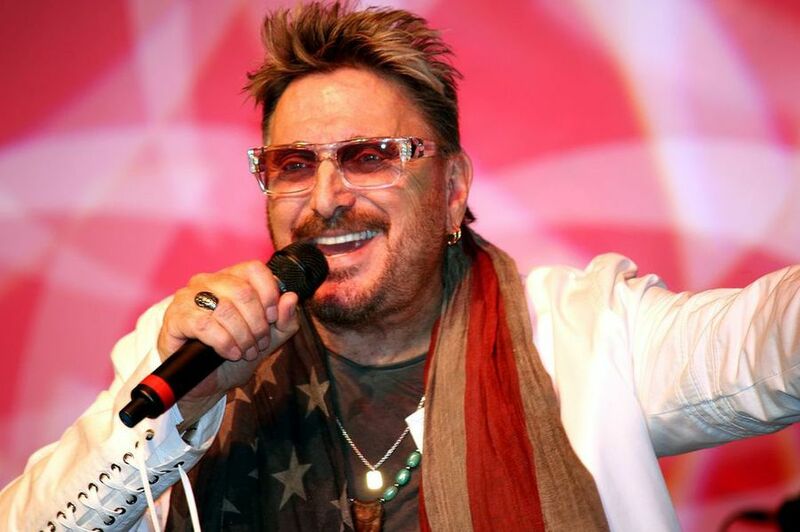 Chuck Negron has been captivating audiences on his many live performances from around the country for over five decades with his iconic vocals, unique humor and brilliant storytelling. Chuck have recorded so many hits during his long music career that are timeless and appealing to music fans of all ages. Chuck became a founding member of Three Dog Night in 1967. The vocal trio have roots in R&B, rock-n-roll, and urban doo wop, which have made a big part on them to create a style of music that was totally new and unique. Three Dog Night became known the world over in 1969 after their band made first million-seller “One.” With Negron’s solo lead vocals, the band sold four million singles, made three #1 records, (one which topped the chart for six weeks, “Joy to the World”), five top hits and seven top 40 hits. He has put and kept Three Dog Night on the charts for six years. Negron performs more than 70 shows a year giving audiences the opportunity to hear his impressive volume of hits plus an exciting repertoire of new songs from his numerous solo CD’s. As a shy teenager that grew up in The Bronx, NY, Negron never dreamed he would have lived the life he eventually did. From the exhilarating rollercoaster ride of fame and fortune, to the pathetic life of a heroin addict, to redemption, Negron has gotten an opportunity to become a respected man. So, if you are a fan of the Three Dog Night, don’t miss to see this show in Branson as it will surely make you feel like singing and dancing along with the band.